We love our moms and want to show it. While Mother’s Day only comes around once a year, it can be a challenge to come up with unique gifts that she will truly enjoy. Here’s the secret to a perfect Mother’s Day gift: thoughtfulness. Putting in effort to show how you respect her passions and interests can have an enormously positive effect! Here are some unique gift ideas for different spaces in her home that can brighten her days long after the Holiday is over. 1. Help mom reclaim the living room. It is no secret that with growing families, the living room is a common place for kids’ toys, straying shoes, and overall clutter to take over. As a shared area of the house, it’s a challenge to find ways to organize the space so that it can be enjoyed by all. For moms with little ones, offer stylish woven baskets to negotiate scattered toys. 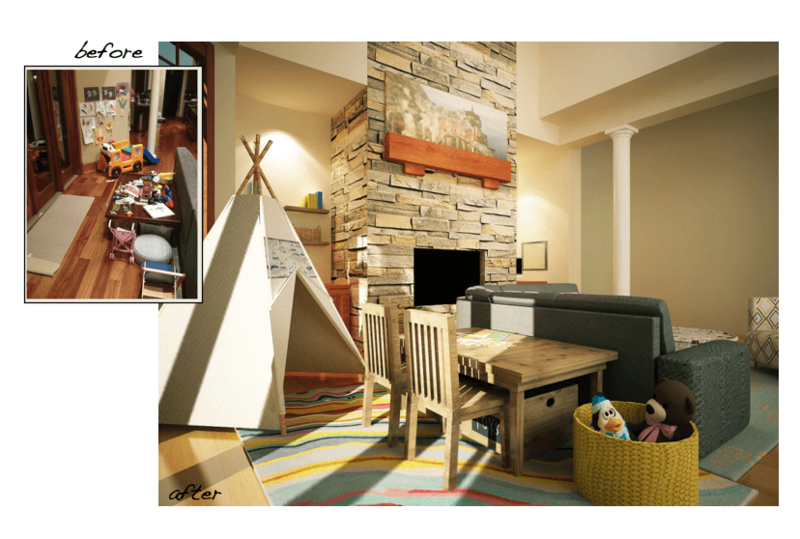 If space is not a big factor, consider a playful tent which can be used to hide larger toys when not being used as it was used in this online room design project. 2. Create a relaxing bathroom design. After a long day of carrying out all the tasks mothers do, offering a place to relax is in order. Add refreshing and pampering elements to the bathroom like scented candles, bubble bath, and sea salts. Add a plant like bamboo or a Chinese Evergreen, and offer luxurious bath towels and fluffy bath mats for her to sink herself into.These items will create a spa-like getaway deserving moms can often enjoy. 3. Offer customizable decor for the nursery. Expecting mothers take a lot of time and effort in creating the best welcoming space for their baby. Share the unique gift of customized art like decals that beautifully decorates a nursery or bedroom. Children Inspire Design has several colorful prints that can be personalized. 4. Contribute to her workspace. With more and more mums working from home, designing a space that offers a distinct work area at home is very helpful because it boosts efficiency and comfort. Encourage the design of a home office that sets this space apart while offering a design flow with the rest of her home. Larger items like suspended bookshelves are very helpful while items like baskets and boxes accessorize and organize. Help your busy mom create a productive office environment that will keep on giving by adding this color popping West 18th File Cabinet. 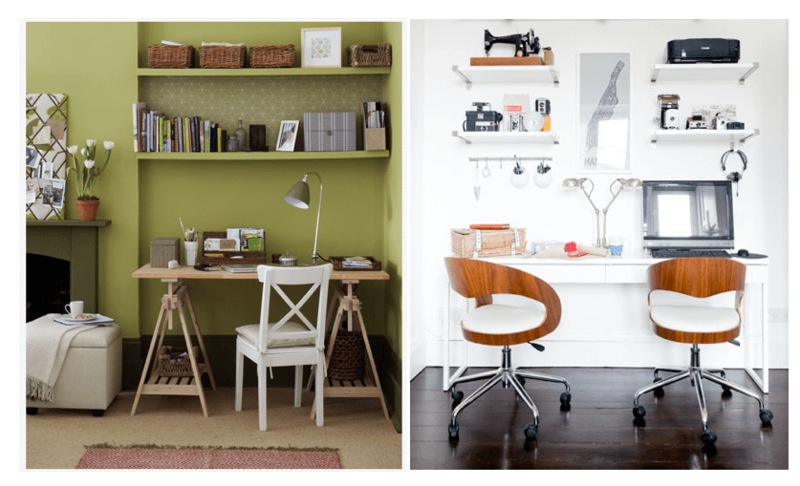 Or, re-design her whole work space by getting her the help of a virtual room designer! 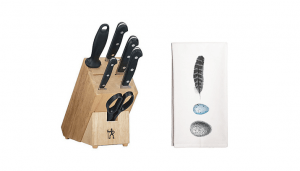 For moms who relish in the joys of cooking or baking, honor her passion with useful and lovely kitchen items. Whether a sharp set of knives or nicely patterned tea towels, these gifts provide her with a functional and stylish kitchen.